The centrepiece of Donegal Town is without a doubt O’Donnell’s Castle better known as Donegal Castle by the banks of the river Eske. The castle was built by Red Hugh O’Donnell in 1474 when he also built the Franciscan Abbey further down the river Eske. Hugh O’Donnell, wealthy chief of the ancient O’Donnell clan, built the original tower of Donegal castle in 1474 as a family home in Donegal Town. The O’Donnells were one of the last of the old gaelic cheiftains to rebel against the rule of the English crown in Ireland. His son “Red Hugh” became known as the Fighting Prince of Donegal and is commemorated by a bronze staute at the head of Donegal Pier. 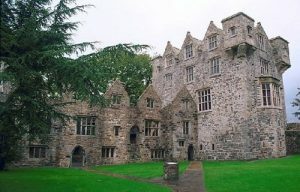 The O’Donnells left Ireland during the Flight of the Earls in 1607 and the castle and lands of the town were granted to an English captain, Sir Basil Brooke. 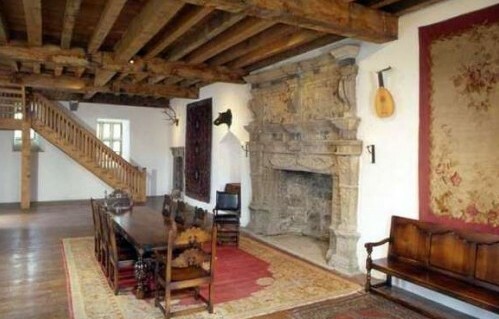 Brooke built the Jacobean-style manor house onto the castle keep using stone from the old ruins of the local Franciscan Abbey and his family lived there until the late 1800s. In 1898 the then owner, the Earl of Arran, donated the castle to the Office of Public Works (OPW) who have re-built much of the castle and now operate it as a tourist attraction.